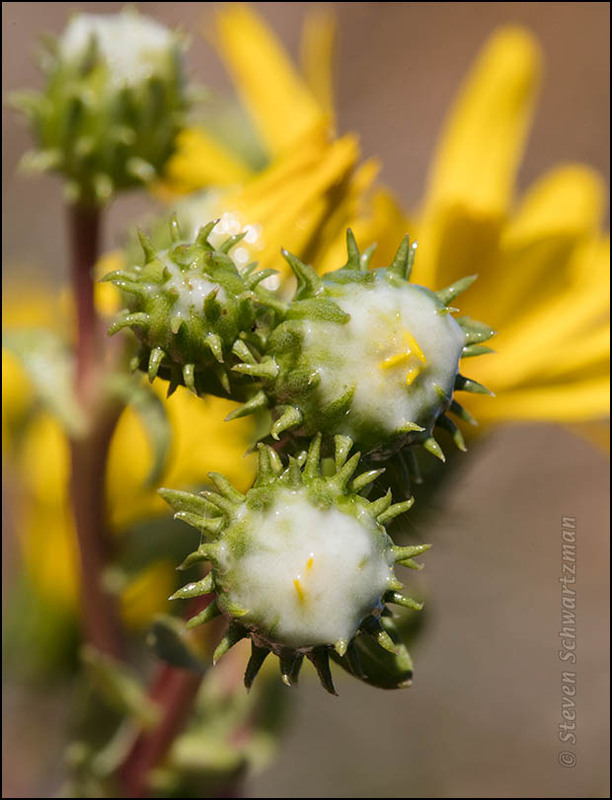 So why is it called marsh gumplant? Grindelia stricta var. angustifolia is called marsh gumplant because it grows in marshes and is gummy (I’d have said gooey). You can see that second feature in this closeup that I took, like the previous photograph, in the wetlands of California’s Martinez Regional Shoreline on November 2nd of last year.